Liaison-Artillery Airstrips - De website van vintageflightfoundation! We do research on all the aspects of Liaison Aircraft used in the European Theatre Of Operations (ETO). Although all the USAAF Airfields used in the ETO are well known and easy to find on numerous webpages, it is actually the opposite when it comes to small airstrips that were used by Field Artillery Units and Liaison Squadrons. Remarkably, local archives and authorities are mostly unaware of such airstrips in their area. It is rather unusual that time witnesses are around as sadly the majority has passed away. It will become very hard to pinpoint those exact locations in the future. This time consuming research is actually quite rewarding. Occasionally we do find an airstrip and can confirm those with pictures of the past. The list of those airstrips gets longer and here we present you an example. Should you know more information of exact locations, we are always happy to hear from you. More airstrips and pictures are available on request. .......... over 30 locations and counting. 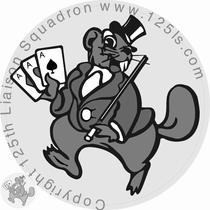 Picture shows an L-5 of the 125th Liaison Squadron at Kornelimünster, January 1945. Picture owned by IWM and published in "The Fighting Grasshoppers" by Kenneth Wakefield. 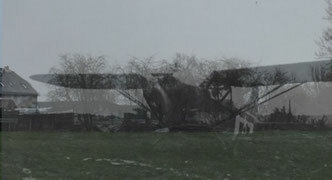 Same picture of the present location overlapped by the original by Bart "Cubman" February 2017, taken in similar weather conditions.